I have been getting slow upload speeds lately. on the 50/5 plan that normally I get 100/10, but lately have only been getting 100/1. Tested with multiple speed tests and the internet is slow to load new pages and more buffering on videos. 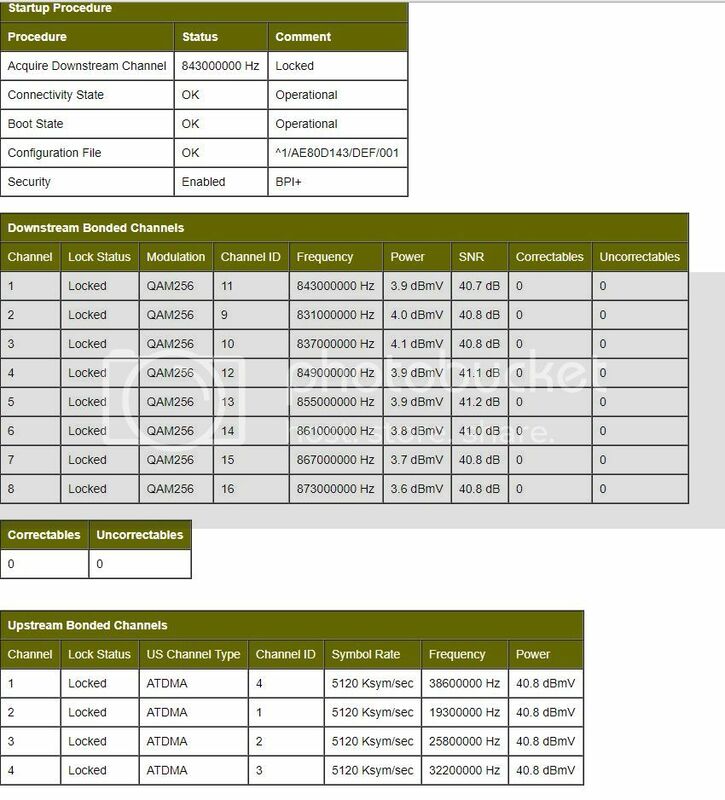 Tried rebooting the modem and bypassing the router and have the same issue. Hi, There are not any splitters, it is going directly from the outlet that is closest to the outside connection to the modem. Do I need to call in to schedule one? The tech came and speeds are better but still only half of what they should be. He replaced the stuff outside my house and the cable to the modem inside. I am getting T3 timeouts. Could it be something at the pole? A service technician would have checked and if needed then the would have set up a maintenance ticket. What speeds are you currently getting hardwired and wireless? 100 down and 3 up.